Remove radiator cap, open radiator drain plug and drain engine coolant from radiator. Refer to CO-12, "Changing Engine Coolant". 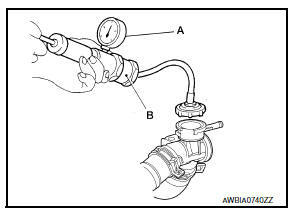 Remove radiator hose (lower). Refer to CO-15, "Exploded View". Remove condenser bolts from radiator. Remove the radiator from the vehicle. Be careful not to damage radiator core and condenser assembly core. After installation, refill engine coolant and check for leaks. Refer to CO-12, "Changing Engine Coolant" and CO-11, "System Inspection". 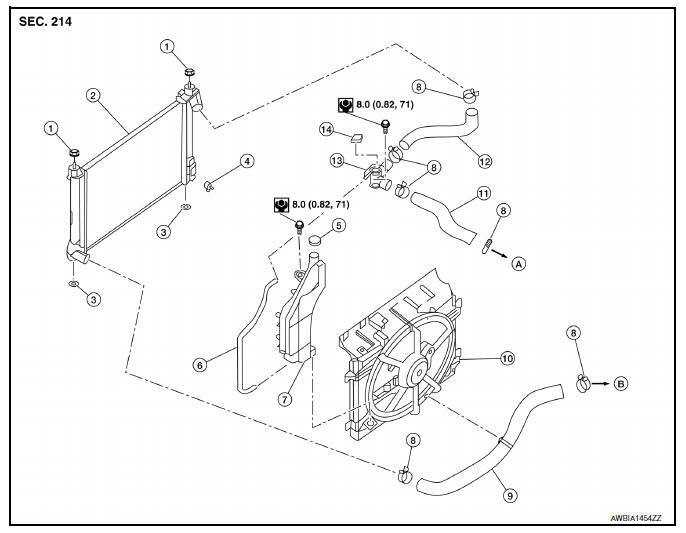 When installing radiator core support (upper), check that both upper and lower mounts of radiator and air conditioner condenser are inserted in the mounting holes of radiator core support (upper, lower). Do not spill engine coolant in engine compartment. Use a shop cloth to absorb engine coolant. Check that the reservoir tank cap is tightened. (A). Refer to CO-11, "System Inspection". Start and warm up the engine. 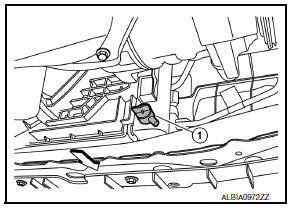 Visually check that there are no engine coolant or CVT fluid leaks.